I founded this firm with one goal in mind... providing individuals, corporations and non profit organizations with the highest level of quality financial services. My career started at a large brokerage firm many years ago, where everyone was simply a number and was provided bias advice. Our goal at First Mason Financial, LLC is to treat all of our clients as individuals, which means that all of our comprehensive plans are specifically customized to meet your needs and goals. We want to understand your situation before making a single recommendation. The last ten years have been one of the most difficult periods of time to be an investor since the Great Depression - we can help you make sense of it. A carefully crafted investment plan is the only way to superior long term results. Thinking ahead of the pack and ignoring the day to day "noise" of the market will result in long term financial success. How should I allocate my assets?  What are the best investments for me? How much life insurance do I need? Should it be term or permanent? Will I need Long Term Care? How should I structure my assets? Do I need a trust? What will happen to my assets when I'm gone and how will that impact my family? 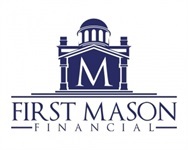 Rather than working with multiple companies, let First Mason Financial, LLC be your advisor. Please enjoy the use of our many financial calculators, they are a first good step... when you are ready to take the next step, please fill out out an information request form online or call our office at 330-722-5777. We will schedule a time to meet at your home or the most convenient location of your choosing. We look forward to the opportunity to serve all of your financial needs.